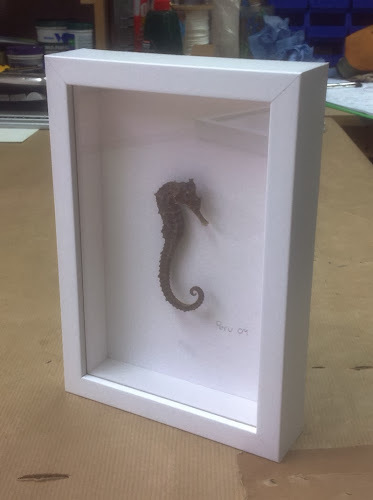 Here's one of the more unusual objects we've framed recently...a seahorse. 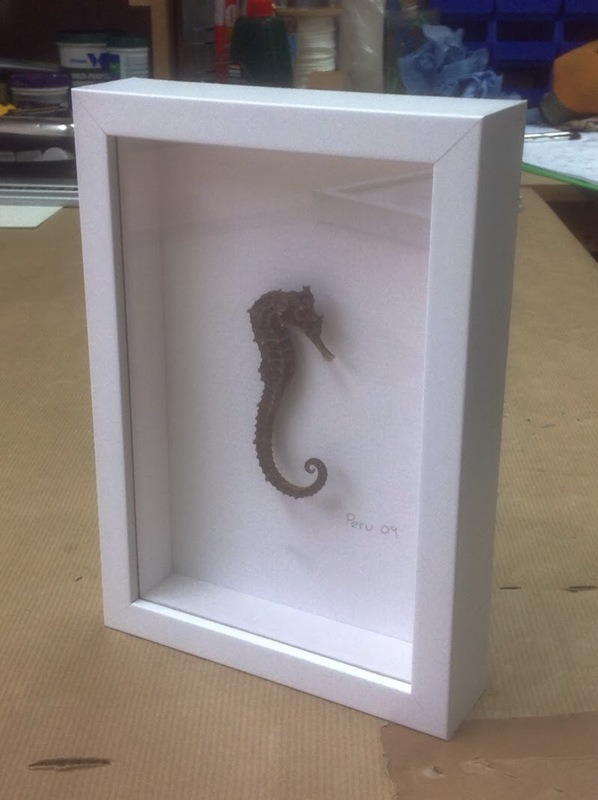 We opted for a simple white frame with a spacer to give us a good gap between the seahorse and the glass. 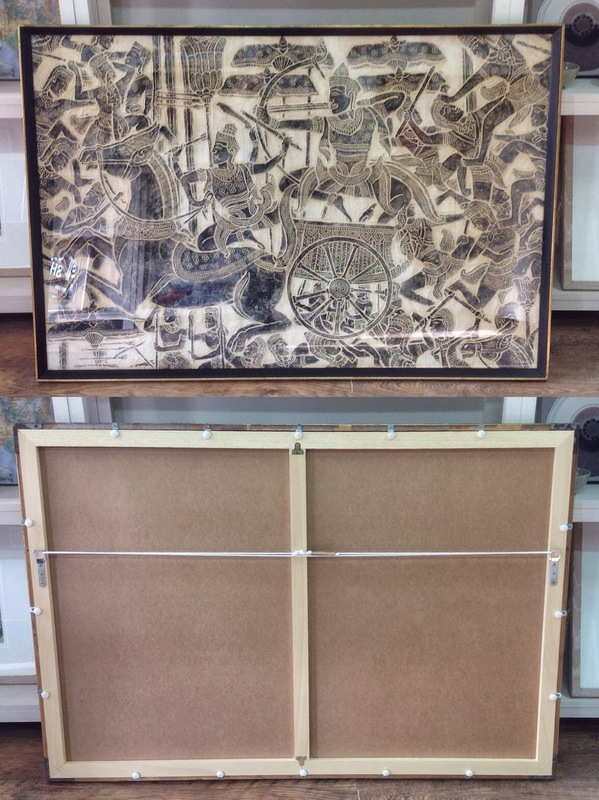 The seahorse itself is mounted directly onto the backboard and casts lovely shadows on the interior of the frame. 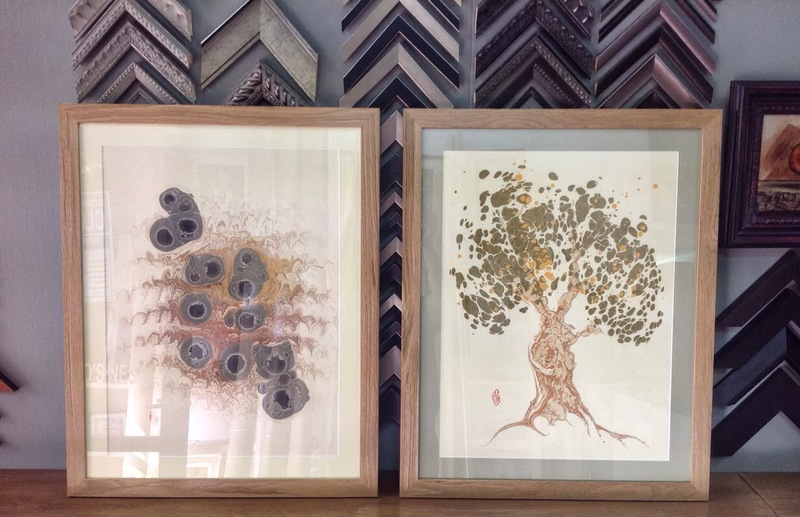 This pair of beautiful images are done with a marbling technique, ink floated on water and then paper floated over that to pick up the ink...at least I'm guessing that's how they've been done :-) We've framed them in matching oak frames, but used different coloured mounts to enhance each individual picture. A couple of very unusual and very interesting pictures. A lovely batik piece here that we've framed very simply with a thin stained oak frame, plain mount and diffuse glass. 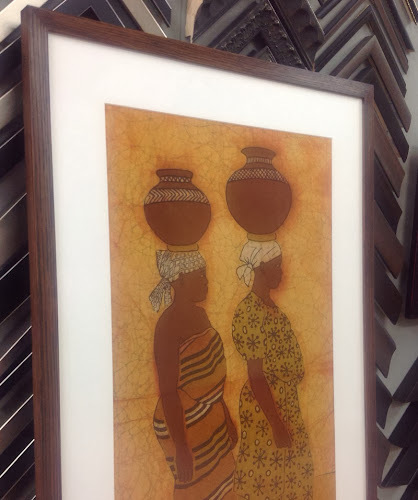 Sometimes you don't want the frame to shout and draw your eye to the artwork, this was one of those occasions, the beautiful artwork is all the better for being simply presented. Two different customers, two different artists...but similar subjects and the same framing...both are views of Eynsham, the one on the left is by Lorna Marrison, the piece on the right by Norman Hayes. 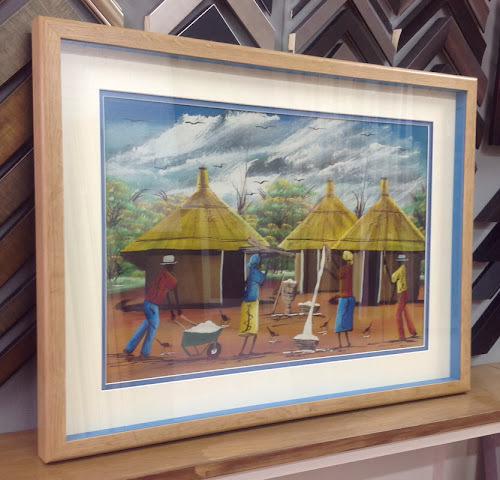 We've used a light gold frame with simple double mounts. This particular frame really works well the Cotswold stone colours in both these beautiful pictures. Here are a pair of beautiful mixed media pieces by Jennifer Crowshaw. We've used a metallic looking frame to reflect the lead used in the artwork and added a thin wooden slip, painted in a complimentary colour to soften things and add a little space between the artwork and main frame. 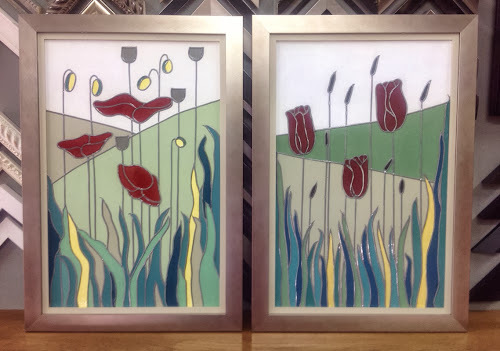 For more information about Jennifer's work, contact the SOTA Gallery in Witney. This beautiful eastern print came in for some repair work recently. The glass had broken and the frame was looking a little tired. The frame is quite thin for the size of glass needed, so we build a new sub frame on the back, this is basically a plain wood frame build purely for strength onto the back of the main frame. Once that was done we touched up the black frame areas with a combination of paint and wax and then fixed the main chips on the gold areas with a gold wax. New glass, fittings and a clean and this amazing piece of artwork has been given a new lease of life.